The Death of Lawrence Oates, March 17th 1912. Was it sacrifice or suicide? ← The James Caird Centenary. But what of the accuracy of Scott’s journal, and the sentiments therein? Scott certainly alluded to the notion that Oates had gallantly sacrificed himself in an effort to save his comrades. Deeming his afflicted presence a burden too grave, to saddle his companions with, he crawled from the tent, to embrace death, and preserve their chances of survival without him. But the moment for Oates to relinquish his presence, to benefit the progression of Scott, Wilson and Bowers, had long since passed. Scott’s recording of the act, as a gallant sacrifice, was eagerly seized upon by a nation that struggled to come to terms with the horrific circumstances in which the men died. Once the story had broke and the details duly divulged, the men were, each and every one, deemed national heroes. Correctly so. There is no doubt there. And Oates emerged from the heroic failure, as the quintessential British hero. A man who gave up his life, so that those of his comrades may be saved. Perhaps so. Ideally so. At the South Pole – From left, Wilson, Scott, Evans, Oates and Bowers. However, Scott’s journal entry, on the matter, quite bluntly contradicts the notion, that Oates removal of himself from the equation, would somehow be of betterment to rest of the group. “We all hope to meet the end with a similar spirit, and assuredly the end is not far,” he had written, on the very day. Assuredly. Scott knew by March 17th, that they were all doomed. And indeed, the end was not far. It was 20 miles away. It would take another 12 days. But the end came on March 29th, eleven miles from One Ton Depot. The three men were holed up in their tent for days, unable to move. The journal entries cited, massive blizzards and scenes of swirling drift outside, though in truth, they were, at this stage, simply too weak to continue. The sacrifice, if it had been so, was futile. Prologue to the Death of Lawrence Oates. On March 2nd, Scott had noted that Oates had revealed his frostbitten feet to the group. Prior to this he had been suffering privately. And of course intensely. It would have been a damning moment, for the party’s prospect of completing the journey. At least with Oates in tow. Given the condition of his feet and the hundreds of miles still to traverse, it would have been obvious to all, that Oates’ situation was very grim. As they struggled to progress, it seemed that everything conspired against their efforts. They felt the cold horribly, the bitter, biting wind changed direction and blew straight into their faces, while the surface grew more and more difficult, to haul their provisions upon. After covering a mere four and a half miles on March 3rd, the men were forced to set up camp, as they could no longer endure the conditions. “God help us, we can’t keep up this pulling, that is certain.” There was an air of defeat, and almost an acceptance of the inevitable, seeping into Scott’s transcriptions. Scott’s concern for Oates was growing daily, and he fully understood the implications for himself Wilson and Bowers. 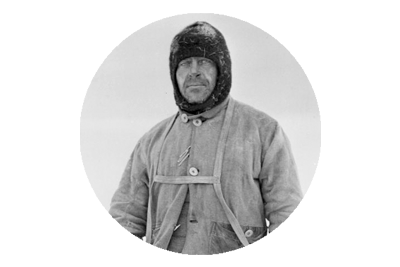 Although he had not intimated the fact, Scott must surely have realised, that the longer Oates remained alive, the more their chances of survival diminished accordingly. Seemingly simple tasks, such as putting on footwear in the morning, became an agonizing and enduring task. And for Oates it was prolonged even more so, sometimes taking in excess of an hour. 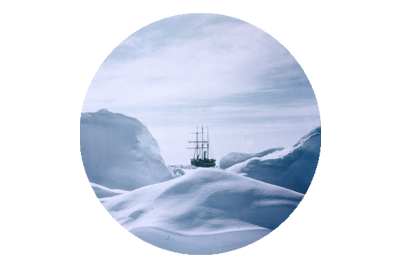 Prior to the southern journey, while the crew of the Terra Nova, wintered at the Cape Evans hut, and prepared for the task ahead, many discussions had taken place. Among the topics deliberated upon, was the question of becoming invalided, and detriment to the mission at hand. Oates was always adamant that should he find himself in such a quandary, he would, without hesitation, do what he considered the honourable thing, and end his life, so that the objective of his comrades could be attained. Perhaps Oates never actually envisaged himself being faced with such a daunting decision, as he had not expected to make the final cut, and be selected as a member of the last group, which would reach the pole. His task on the outward journey was to get the ponies and the supplies they hauled, to the foot of the Beardmore Glacier. He worked tirelessly to task, missing many meals and many hours of sleep, tending to the beasts during the frequent bouts of severe weather. Taking these facts into account, coupled with the fact that Oates walked with a heavy limp ( the result of a war wound), should surely have ruled him out of contention for progression beyond the Beardmore. But it did not. And unbelievably Scott did not send him back with the last support team either. Oates would stand with his four comrades at the South Pole, albeit dejectedly, as they discovered Amundsen had beaten them to the accolade of first.Personally he had long hoped to be among the number that constituted the polar party, but realistically he should never have been. When in early March, 1912, he was confronted with the very scenario of self sacrifice that he had previously discussed, it seems Oates was desperately unable to come to terms, with the uncompromising solution he had previously professed. By march 10th, Scott knew Oates had no chance of survival. It is safe to assume that Lawrence Oates also knew this. If there was a time for an act of gallant sacrifice, it was now. But Oates would struggle on for another week , before he finally embraced the inevitable conclusion. One can surmise that the burden of his presence during those final seven days, could at least equate to the 11 mile deficit between the bodies of Scott, Wilson and Bowers, and the potentially life saving One Ton Depot. There is such certainty in Scott’s entry for March 10th, of the fact that Oates had no chance of surviving the ordeal, that they all faced. One can also detect a sense of frustration, towards Oates, that almost borders upon impatience. It is almost as if Scott knew what Oates should do, but of course he didn’t dare suggest it. Not that Scott was cold heartedly longing for Oates to die, either naturally or by his own hand, as the entry is punctuated with pity for him. Scott also noted that even without Oates, they had only slimmest of chances of pulling through themselves. The weather was ferociously cold, with temperatures plummeting far below anything they had expected or anticipated at that time of year. The previous day they had reached the Mount Hooper Depot, and discovered shortages of both food and fuel – factors which seriously diminished their chances of reaching One Ton Depot. It seems that by March 11th, Oates was pondering his options. It appeared he had but two. To struggle on, hindering the men who struggled alongside him, and eventually succumb, or to end it all there and then, and afford his companions a slight chance, however unlikely it seemed. At this juncture One Ton Depot was an attainable target. Once there the three men would have found enough supplies to sustain, and perhaps even invigorate them. They may not have survived the Antarctic winter, but reaching the cache was the only hope they had. To their eternal credit, it appears that they encouraged Oates to forge ahead, when privately they must have known what needed to happen. Scott seized the opportunity to order Wilson to dispense the opium tabloids, that the group had carried for just such a desperate measure. A morbid but crucial item of inventory, the opium tabloids were the foil to any instance of protracted, agonizing death, that their perilous mission was likely to present them with. This was one such instance. Quite subtly Scott had given Oates the means to do the honourable thing. Yet Oates did not take the bait. 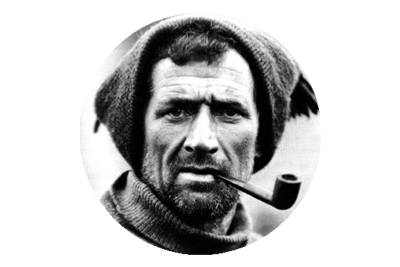 He would endure for another six days, before he crawled from the tent, on March 17th, 1912. On March 16th, Oates had requested that the men leave him behind in his sleeping bag, but they had refused, and urged him onwards. They covered a few miles before making camp for the night. Oates fully expected to die in his sleep, but he did not. Shortly after waking to that realization, and the sound of a raging blizzard outside, Oates left the tent, uttering the now famous words, “I am just going outside and may be some time.” With that impart, he disappeared into the vast whiteness of the Antarctic storm. After the death of their comrade, scant progress was made by Scott, Wilson and Bowers. If Lawrence Oates had indeed sacrificed himself to unburden his colleagues, the gallant gesture came much too late for them to reap any dividend from the act. It is thought the last of the three died on March 29th 1912, a full 12 days later. In that time they had only advanced 20 miles, from where Oates had disappeared. According to Scott’s journal they had covered that distance by March 20th, and were only 11 miles from One Ton Depot. Sadly they would advance no further. On March 21st, Scott recorded that they had camped to shelter from a severe blizzard. His right foot was now badly frostbitten, and he lamented that amputation was the least he could hope for. They had barely two days food and not enough fuel to prepare a hot meal. Wilson and Bowers were preparing to strike for the depot and return to Scott with food and fuel. Alas it never happened. Initially the horrid weather halted their efforts to start out, then time progressed, food ran out and the cold seeped ever further into their bones. The physical effort of the task was simply beyond them. One can seldom consider the death of Captain Lawrence Oates, without pondering the role Captain Scott played in his parting. It is safe to assume that, aside from his mother, Scott would have probably dominated the terminal thinkings of the former cavalry soldier. Many of Scott’s men had deep rooted misgivings about his decision to use ponies to haul supplies across the ice, and none more so than Oates who had signed up as the expedition’s chief pony handler. Nicknamed ‘The Soldier’ by his Terra Nova fellows, the popular Oates was an English cavalry officer, who had served with honour in the Boer War. He had applied to join the expedition, having become somewhat disillusioned with life in the army, and Scott had taken him on board, mainly because of his vast knowledge and experience with horses. 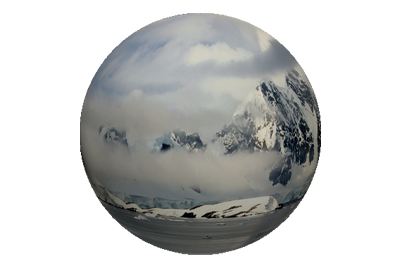 They cache was duly dumped thirty miles shy of it’s predetermined point, a decision which would prove fatal for the returning Polar Party. Lawrence Oates walked to his death at the latitude where One Ton Depot should have stood. Was this a coincidence? Had Oates’ dislike of Scott, festered to a point, where he simply would not sacrifice himself for him, despite the lives of Wilson and Bowers hanging in the balance too. Oates certainly did not lack the courage that self sacrifice demands. During the Second Boer War, Oates had refused to surrender to the enemy, despite having been shot in the leg, and completely surrounded and outnumbered. “We came to fight, not to surrender,” was his retort on being offered the opportunity. That he would have struggled across Antarctica’s Barrier in desperate agony, for so long, and at the expense of his comrades progression, seems strange. When it eventually came, was Oates’ death a gesture of defiance to Scott. A gesture that he had made it to the point where One Ton should have stood, and had it stood there, perhaps he would not have had to die. Had Scott listened to him and taken his advice to forge ahead, he might have made it. They all might have made it. Good Article. Did Oates deliver the gallant line, or did Scott leave him behind and turn Oates into a Hero to hide his own action? As a line it rings more true of Scott than Oates, the former having a great ability for heroic prose. In relation to a rescue by dog team- Scott gave precise instructions as to how far the Dog team would come, and did not tolerate having his orders disobeyed, so Graf did as instructed and brought the dogs as far as instructed, it is certainly possible he could have saved 3 if not 4 of the polar party. At the very least One ton Depot could have been moved to its intended location. Yes it could have been the 16th Bob, but Scott had lost track of days, and states his uncertainty in his diary.